Nvidia isn't interested in the mainstream smartphone market and will focus its Tegra efforts on tablets and high-end "superphones," the company's CEO said Wednesday. "Our non-focus is mainstream phones," CEO Jen-Hsun Huang said during Nvidia's quarterly earnings call. The chip maker is interested in devices that can take advantage of Tegra's graphics capabilities, such as gaming systems. It's also interested in automobiles, where it sees a growing demand for "visual" computing for things like back-seat displays and collision avoidance systems. It's also interested in superphones, or high-end smartphones with large screens, Huang said. The first products with the company's Tegra 4i processor, which has an integrated software-based modem, will be announced by the end of this quarter, Huang said. The chip itself was announced early last year. In January, Nvidia also revealed plans for a powerful 64-bit processor with 192 graphics cores called the Tegra K1. The first products based on that chip will be announced in the second half of this year, he said. Nvidia dabbled in the budget smartphone market with its Tegra 3, which appeared in devices from HTC, Lenovo, Fujitsu, Motorola and others. But its successor chip, the Tegra 4, was a disappointment and Nvidia couldn't hold onto that market, said Jim McGregor, principal analyst at Tirias Research. The whole smartphone market was going through something of a transition at the time, but it's not settled down and Asian chip makers such as Rockchip and MediaTek have established a lead in the budget area, McGregor said. Nvidia isn't willing to compete in that market with single- or dual-core chips, partly because its products are high-performance and the company can't afford the lower returns. "The devices they have aren't designed for the budget market," McGregor said. The Tegra 4 has been unable to match the success of the Tegra 3, appearing in just a few handsets and tablets. 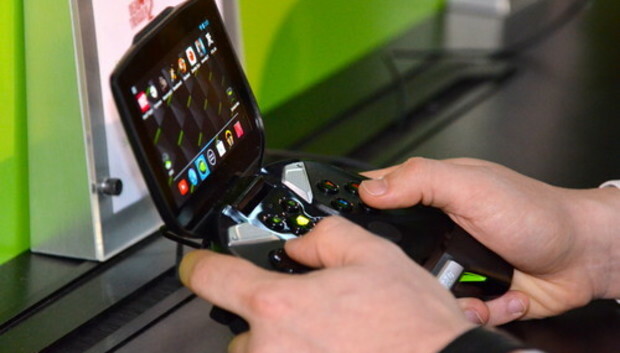 It's used in Microsoft's Surface 2, Hewlett-Packard's SlateBook X2 and Nvidia's Shield handheld gaming console. Nvidia's Tegra revenue from the fourth quarter was US$131 million, down 37 percent compared to the same quarter the previous year. "The year-over-year decrease in our Tegra processor business was largely due to higher sales volume of Tegra 3 for smartphone and tablet devices in the prior year, compared with current volumes of Tegra 4," Nvidia CFO Colette Kress said in documents filed with U.S. regulators. But the company expects Tegra revenue to grow as sales of the Tegra 4i and K1 pick up. Nvidia's profit for the fourth quarter was $147 million, down 16 percent. Revenue was $1.1 billion, up 3 percent on strong sales of graphics processors, the company said.